Magnetic Grids are designed to be used in hoppers for the purpose of extracting ferrous metals from materials being processed. Jupiter Magnetics Private Limited is one of the preeminent Magnetic Grids Manufacturers In Delhi that have the products available in different sizes or shapes. Due to their formation of stainless steel material, they are able to handle rigorous conditions and thus are highly demanded in several industries. 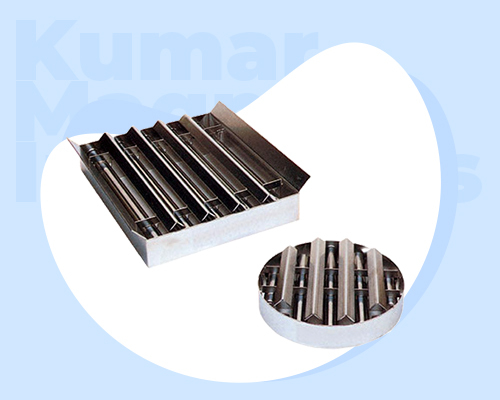 These grids are manufactured by using powerful yet rare earth magnets, which helps in extracting fine ferrous particles. Make Us A Call ! Being one of the most popular Magnetic Drawer Grids Exporters and Suppliers In India, we have an extensive range available according to the need of our customers. Dial our number to discuss your particular demand with our customer executives, you can even send an enquiry directly from the website.